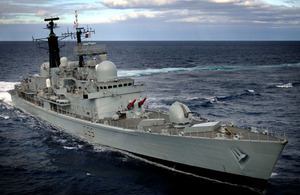 HMS Manchester has helped police in the Caribbean snare a drugs haul that could have been worth £1.5m on the UK market. 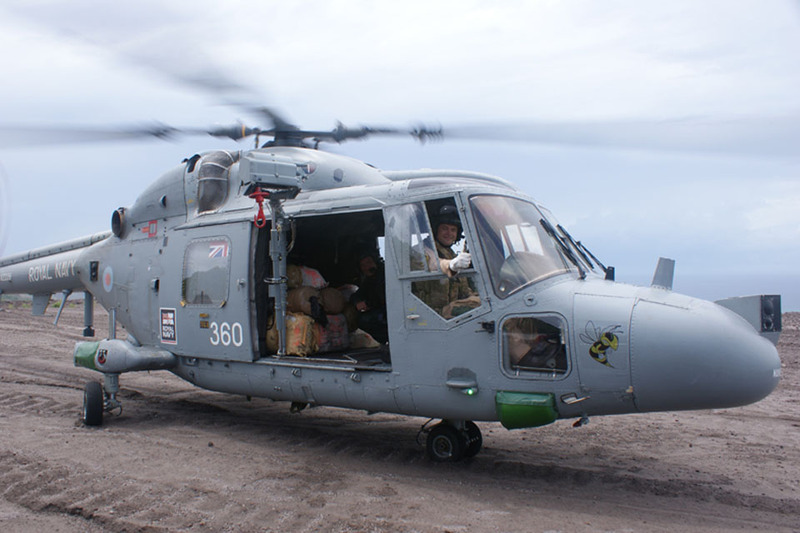 During an aerial search of the waters around the island of Montserrat, a British Overseas Territory in the Leeward Islands, HMS Manchester’s Lynx helicopter crew spotted a speed boat and directed a Royal Montserrat Police boat to intercept. While police mobilised a team towards the boat, the Lynx’s aircrew then discovered twelve 25kg bales - later found to contain cannabis - on a nearby local beach. HMS Manchester used her Lynx helicopter to transfer the bales to a viewing area, which was the nearest point of access for local police to collect the drugs. Five men from the speed boat were arrested and are now in police custody. Local police have estimated the value of the haul to be £1.5m. I am delighted that co-operation between the Royal Montserrat Police and HMS Manchester has resulted in the seizure of a significant quantity of narcotics. The Lynx aircrew became aware of the speed boat while transporting Commander Cox to shore to conduct official visits in Montserrat. The boat aroused suspicion because it was running on two large engines and was carrying two spare engines. HMS Manchester is anchored off the coast of Montserrat as part of her Atlantic Patrol Tasking (North) deployment in support of the British Overseas Territories in the Caribbean region. The Type 42 destroyer’s visit to Montserrat was specifically aimed at allowing her command team to meet with the government, ministers and Commissioner of Police on the island to discuss the support she can provide in the event of any natural disaster which may occur. The ship’s main mission in the area is to provide regional assurance to the overseas territories, disaster relief during the hurricane season and counter-narcotics operations. Two of the ship’s company on board HMS Manchester, Chief Petty Officer Sullivan and Petty Officer David, are returning to Montserrat after their involvement in the disaster relief and eventual evacuation operation following the volcanic eruption in 1995. They served at the time on HMS Southampton, another Type 42 destroyer similar to HMS Manchester.